I went to Tik Shirt store at level 1 Grand Indonesia Shopping Mall last Sunday to accompany a friend of mine (a.k.a blogger extraordinaire) ario achda . 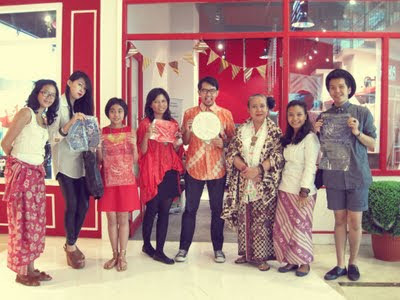 It was Tik shirt's 1st anniversary event and guess what! 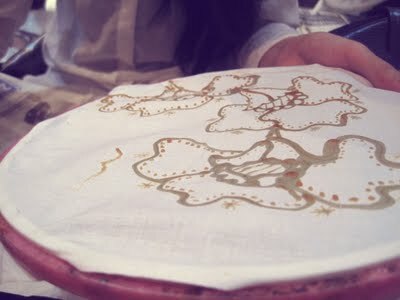 I once again made my own batik and this time i chose the blue one >.<. I was so excited!! btw i met The evita nuh and her sweet sister (Rani)there. I also met rahnee putri for the first time and she was so lovely and funny. you've got a really awesome blog! followin' you! wowww. i bet u got so much merry! how i wish i could join u there. hehe. glad to hear that you did well on your exams! with regards to the wisedom tooth, it really hurts, i use to take pills in order to make the pain go away! yay Cindy, seems you had a great time, hey, is that a clutch? what is the brand ? congrats cindy!!! aww im in love with your clutch!!! That looks very interesting! Hmm everyone I know has had their wisdom teeth taken out, luckily I still have not gone through that but sounds painful! aww you have a very great day!!! ahhh so lucky you got to meet evita nuhh !! ah looks like a very fun day! i love batik pattern and it should be fun to do one.